Outdoor Fun in the White Mountains for Everyone! This schedule is meant for the truly adventurous! Ziplines, ATV’s, glacial caves, climbing, and summit adventures are just some of the things you can do in the White Mountains. If you’re coming up for a week and looking for some adventure, you’re in the right place. Here are some of the best trip ideas for outdoor fun in the White Mountains! Zip, Soar, Explore! At Loon Mountain, the fun doesn’t stop because the snow melts. In addition to the slopes, Loon offers an adventure park for all ages. The park includes an Aerial Forest Adventure Park, Zipline, Biking, Glacial Caves & Summit Adventures, Bungee Trampoline, Climbing Wall, and more! Here is the breakdown of things to do by season. Depending on how many activities you want to do, this could be a few hours up to a full day of fun! Go on an adventure and then polish off the day by visiting busy downtown Lincoln for a nice dinner at one of the many restaurants. Outdoor fun in the white mountains doesn’t stop at adventure. There are plenty of outdoor patios for people to enjoy a nice dinner with the mountains right in view. Heights not your thing? Experience adventure on the ground with these 1 and 2 hour ATV tours from Outback Kayak in Lincoln, NH. The Outdoor Center and ATV park consists of 80 acres bordering the beautiful Pemigewasset river with the majority of of the trails in the woods with river views. Ride out to the private pond, sand dune, and after any rainstorm be prepared for mud! This is a one-of-a-kind adventure suitable for the whole family. This company also offers kayak tours, paintball, snowmobile tours, and snowshoe rentals. Alpine Adventures is located in Lincoln, NH right near the downtown. Go get breakfast at Flapjack’s Pancake House and then head to Alpine Adventures for any of these tours! Be sure to check the schedule before you go, and book a reservation in advance. Located in Franconia Notch State Park, Lonesome Lake Hut is open year-round. With spectacular views of the Franconia Ridge across a pristine glacial lake, Lonesome Lake Hut offers big mountain scenery without the big mountain effort. Lonesome Lake is just 1.6 miles from the trailhead, making it an ideal first-time backcountry experience and a great intro to AMC’s hut system. More experienced hikers will find plenty of challenge, with nearby Cannon Mountain, the Kinsman Ridge, and miles of Appalachian Trail beyond. For most, the reason why people stay at these huts is to get low cost housing in close proximity to all the trails in that area. The Lonesome Lake Hut provides trails to Cannon Mountain and the Kinsman Ridge. The Western White Mountains as a whole provide countless trails for visitors, but here are a few of our favorites. This is a fairly difficult 4,000 footer in the White Mountains, but it’s absolutely worth it. The Edmund’s Path brings you to the Eisenhower Loop, which is altogether around 6.6 miles. The trailhead is in Crawford’s Purchase. The top is flatheaded, with a panoramic view of the Presidentials. This trail was carved in between two low lying mountains near Waterville Valley. The loop comes out to be around 4.6 miles and has a bit of a rock scramble at the top with a supporting chain. The views are absolutely gorgeous, but it only takes a few hours to complete (half day for people who want to take the trail slow). It’s a bit south of the Western White Mountain region but still worth going out of the way. A local favorite! The Artist Bluff trail is nestled right in Franconia Notch. This 1.5 mile loop trail is heavily trafficked with an elevation gain of around 360 feet. Artist Bluff is great for people of all ages and features NH wildflowers along its path. The top features beautiful views of Cannon Mountain and Echo Lake. This trail is perfect for a quick hike in between checking out Echo Lake, the Basin, and Cannon. This mountains has several path choices that all lead to the bare 3,500 ft summit. Our personal favorite is taking the Champney Falls Trail, which is about 7.6 miles in Albany, NH. It is best known as the easternmost peak in the Sandwich Range. This is intended for people who are of above average fitness and trail experience. Overall, the Western White Mountains have some of the best attractions for adventure seekers who want an action packed vacation. There’s something for every season, so no matter what time of the year, there’s always something to do. 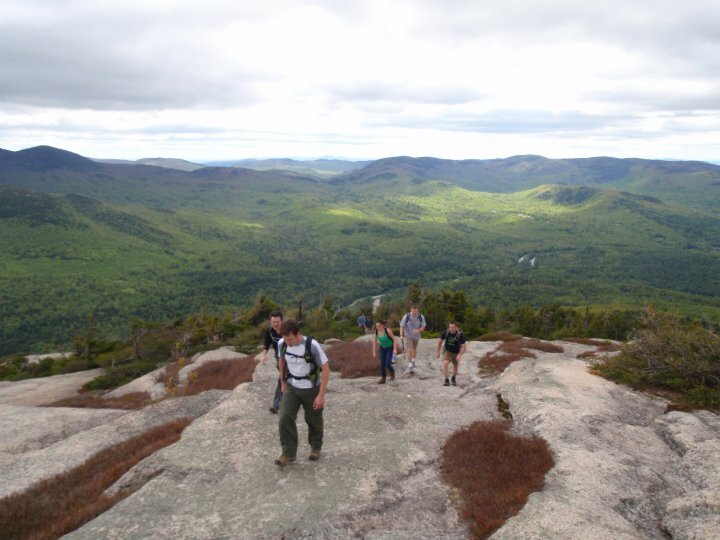 Want to learn more about things to do in the Western White mountains?